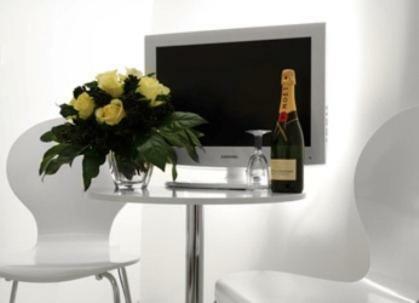 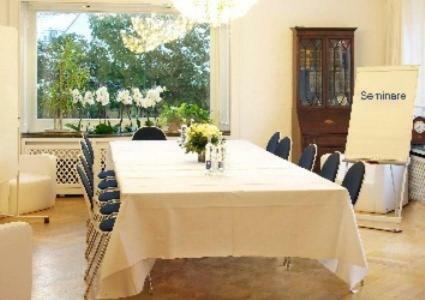 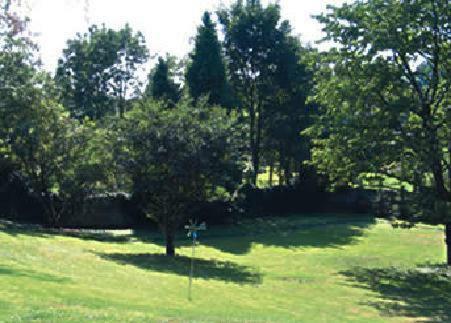 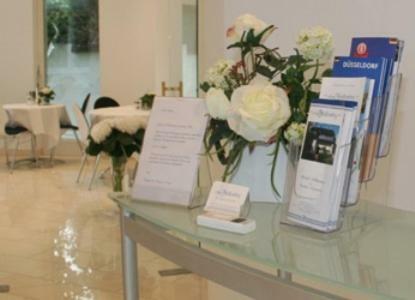 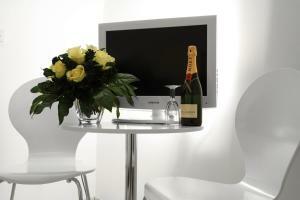 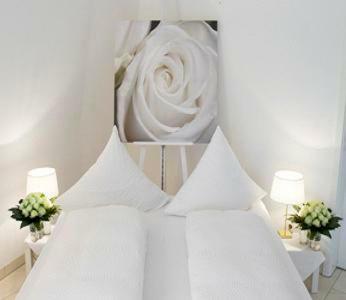 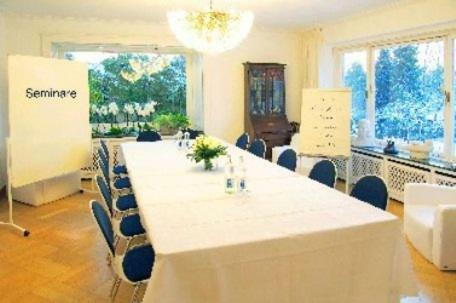 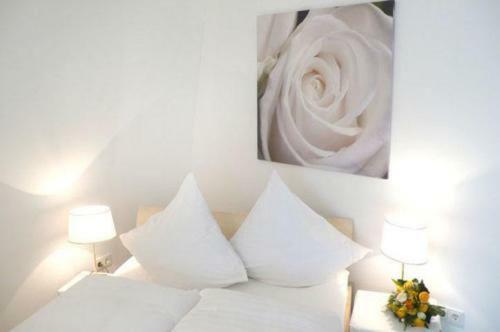 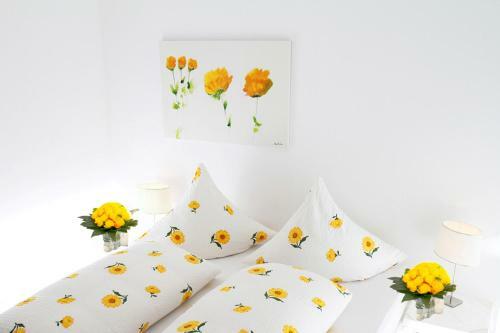 The Hotel Villa Falkenberg provides elegant, individually furnished rooms with wireless internet access. 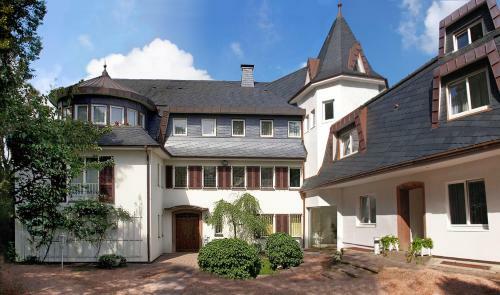 Kaiserswerth’s old quarter is just a short stroll away, and you can drive to Düsseldorf’s city centre and main railway station in 10 minutes. 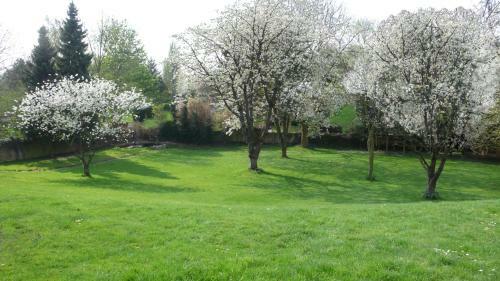 The nearby S-Bahn (city rail) and U-Bahn (underground) links allow you to forget all about traffic jams. 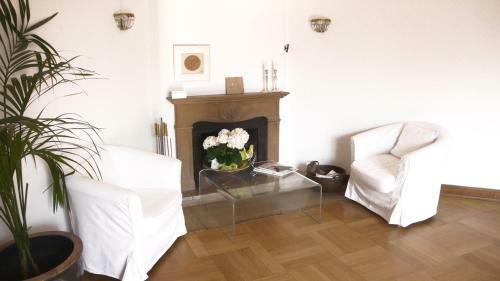 Relax in front of the open chimney in the lounge, or enjoy the sun in the garden. 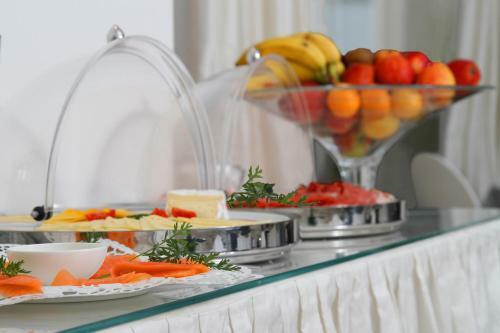 Start your day with a comprehensive breakfast buffet in the stylish breakfast lounge. 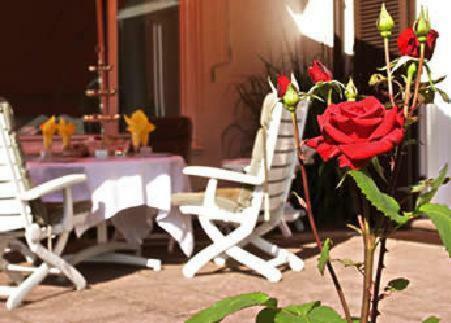 In fine weather, you can relax on the terrace overlooking the gardens.